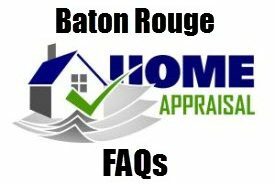 http://www.appraisersinbatonrouge.com/ – Baton Rouge Real Estate Question: Is It Wise To Invest $60,000 For A Pool and Landscaping On A $250,000 Home? 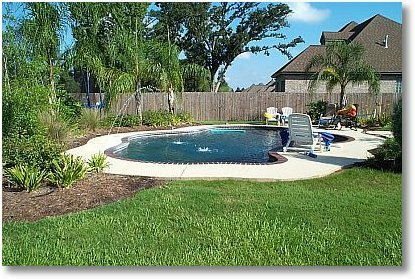 As a home appraiser, I often see this type of scenario: Homeowner wants that swimming pool in the backyard with a lot of nice landscaping. That’s human nature to want nice features with your home, an outlet to help alleviate the monotony and stress of daily living after a hard days work, especially since many of the residential developments today aren’t designed for quality of life amenities, such as with walking and biking paths and trails. However, with a home value of $250,000, a $60,000 investment could bring your cost basis to $310,000 in a $250,000 neighborhood or 24% more than the average home in your subdivision. Would that be wise? Not exactly. Read more below. There’s 2 answers to the above question: Is It Wise To Invest $60,000 For A Pool and Landscaping On A $250,000 Home? 1.) If money is no object to you and you plan on living and enjoying that home for the rest of your life (not moving), then make that investment because a $50,000 IG Pool is rarely a wise investment. One exception could be a pool installation in a high-end development in the $500K to $1,000,000 range. But the question is for the $250K range. 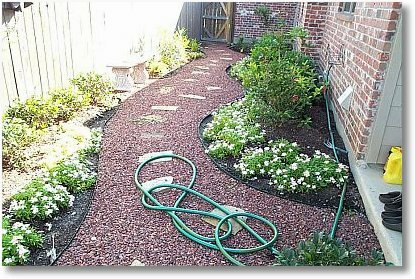 Realize that the market (buyers) don’t pay dollar-for-dollar for such improvements as IG Pools or Landscaping. My 18 years experience as a home appraiser has shown me consistently that the market pays between 15% to 33% of the original cost of these improvements, depending on how nice they are and prevalence of such neighborhood amenities. If you live in a 300 home subdivision and only 5 homes have pools, then the likelihood of your return is much lower. If you live in an older neighborhood where pools were once the amenity to own but are now being filled in with dirt, then that should help one make their decision. It seems that the new the home and neighborhood and the newer the Pool, the more value it adds. So, if you want to spend $50,000 on an upscale gunite pool and only get back maybe $7,500 when you sell, then make that investment knowing this about the market’s reaction to such an amenity and investment. 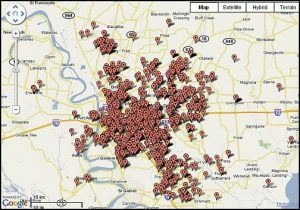 The Red Circles Represent IG Pools Installed – A High Prevalence Of IG Pools. 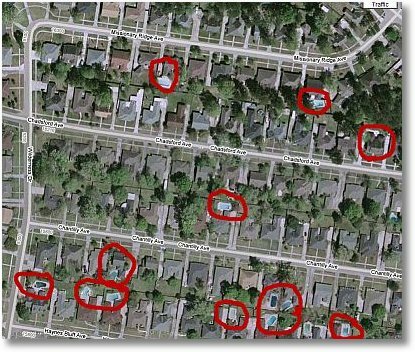 Before Installing An IG Pool, Research To Find Out The Prevalence Of IG Pools In Your Neighborhood. It’s likely that the more pools, the more a buyer would be willing to pay for such an amenity. 2.) If your investment dollars are counted carefully and you don’t plan on living in that home for more than 3 to 10 years, then such an investment would probably not be wise. In conclusion, a $60,000 investment on the outside of your home is rarely going to reward you with a dollar-for-dollar reward paid by the buyer at the time of sale. It’s a major over-improvement that “might” return 1/4th to 1/3rd of your original investment. It’s best to find out this answer from an appraiser than a pool salesperson…..Enough Said! So, You Might Ask, Where’s The Best Place To Invest Money In My Home For The Best Reward? Stay Tuned To Find Out More. Here’s A Hint: Place Little Reliance On Those Cost-Reward Guides That Tell You If You Invest $15,000 Adding A New Bathroom, Your Reward Will Be $30,000. Those Guides Are Written By The Same Industry That Wants To Add That New Bathroom To Your Home, not from the appraiser that exactly examines the market to determine the true value of such an improvement. 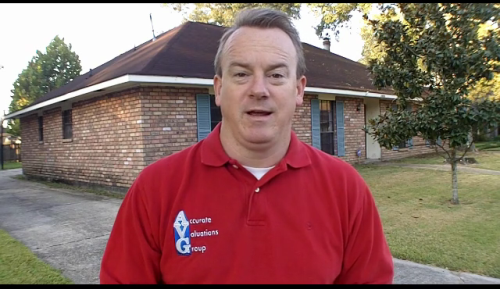 Bill Cobb, CREA, is Greater Baton Rouge’s favorite and most reputable home appraiser frequently called upon by banks, homeowners, and savvy real estate investors to assess property values. A home appraiser with 18 years experience, Bill Cobb brings a wealth of knowledge to the table as a home appraiser.